The God I serve is endlessly creative and his creations are endlessly fascinating. It spins and sputters and spurts. With wonders ’round every turn. It rattles and patters and purrs. I am constantly floored by the infinite variety and boundless beauty of God’s creation. I have always been captivated by the animal kingdom in particular. Such variety, color, adaptive function, beauty – it is mind-gobbling. I think that’s why I latched on to the field of cryptozoology. Cryptozoology is the study, investigation, and pursuit of animals rumored to exist (often witnessed and attested to by indigenous peoples), but never verified by science through hard evidence. Most of us are familiar with the Loch Ness Monster, Bigfoot, and the Abominable Snowman. Those are some of the better-known examples. But there are thousands of others. It helps to remember that many familiar animals in our zoos today were once in that “crypto” (hidden) category. The okapi (oh-KAH-pee) was described by natives as a “wild mountain donkey” with a long neck and zebra stripes on its hindquarters. Explorers in Central Africa heard about it in 1887; in 1901, the remains of a carcass were sent to London for examination; in 1909, the first specimen was captured for a zoo. (As it turns out, it is the only known relative of the giraffe.) 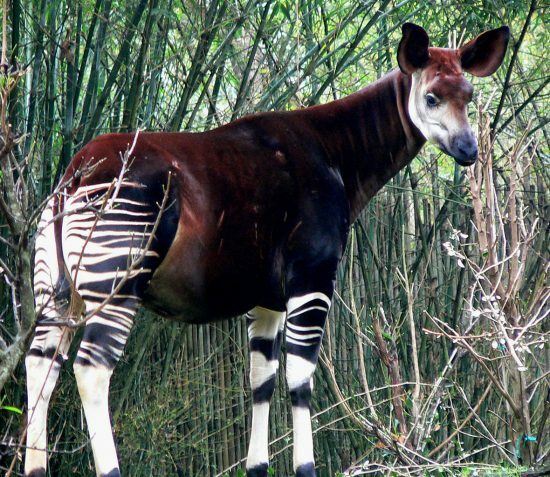 Now okapis can be seen in zoos all over the world. Interestingly, though, it had not been filmed in the wild, in its natural habitat, until 2008. Similarly, the mountain gorilla of East Africa was just a rumor beginning in the 1500s and continuing through the 19th century until 1902, when one was shot and brought to Europe. Now they are protected and their numbers, once dangerously diminished, are growing. 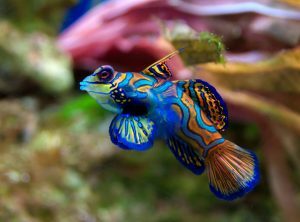 New species are being discovered and identified by science all the time. Each year brings a harvest of new and fascinating discoveries. In 2009, 200 new species were discovered in some of Papua New Guinea’s least accessible regions. And the Greater Mekong, which includes Cambodia, Laos, Myanmar, Thailand and Viet Nam, is proving a rich area for discoveries of new species. 70 new species were discovered there in 2014. And previous discoveries from that region in the 90s included the “barking deer” and the Vu Quang ox. Many new animal species were discovered just last year. You can see a few examples here. Something else to remember is that there are millions of square miles of land surface that are completely inaccessible to man. There is no telling what could be found in those areas. Small populations of some animals, once thought extinct, have been rediscovered in remote locations. You can read about some recent examples here. All these interesting life forms, all these examples of beauty and intricate design and functionality, all these masterfully engineered species point to a creative intelligence that is beyond anything that we can imagine. 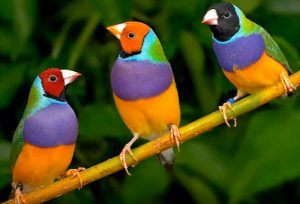 Every revelation of a creature once “hidden” is a revelation of the glory and wonder of a fascinating and creative God. “So Lord to You we give our deepest praise. See all that the Creator has made and get a glimpse of Who He is. You, too, will be filled with wonder.